Prized and prolific Ottawa author Elizabeth Hay will be joining us for our first Titles@Table40 dinner event of the season to talk about her new memoir All Things Consoled. The evening starts at 5:30pm with dinner, followed by the author presentation and book signing. Tickets must be purchased in advance at the bookstore. The non-refundable cost is $60.00 which includes the cost of the meal (a set menu of three courses with a vegetarian option), tax and tip. All beverages are extra and will be charged at the end of the evening. 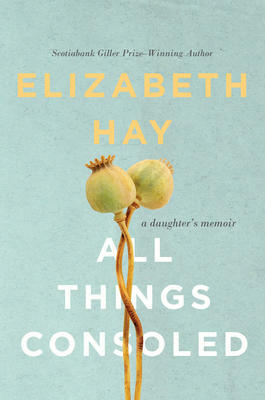 “From Elizabeth Hay, one of Canada’s most beloved novelists, comes a startling and beautiful memoir about the drama of her parents’ end, and the longer drama of being their daughter. Join us for the launch of award-winning author Paul Carlucci’s critically acclaimed new story collection, The High Rise in Fort Fierce. Featuring special guest (writer, editor, reviewer, critic, publisher) rob mclennan! Paul Carlucci’s first collection of short fiction, The Secret Life of Fission, won the 2013 Danuta Gleed Literary Award. His second collection, A Plea for Constant Motion, was published to critical acclaim in 2017. His stories have also been published in numerous magazines and journals, including the Malahat Review, subTerrain, the Fiddlehead, and the New Quarterly. He lives in Ottawa. Learn more about The High-Rise in Fort Fierce here. FREE | All are welcome to attend! The nights are finally cooler, the days are shorter, and the strange but alluring scent of freshly sharpened pencils and loose leaf paper is hanging in the air once more. Oh, how we love September! 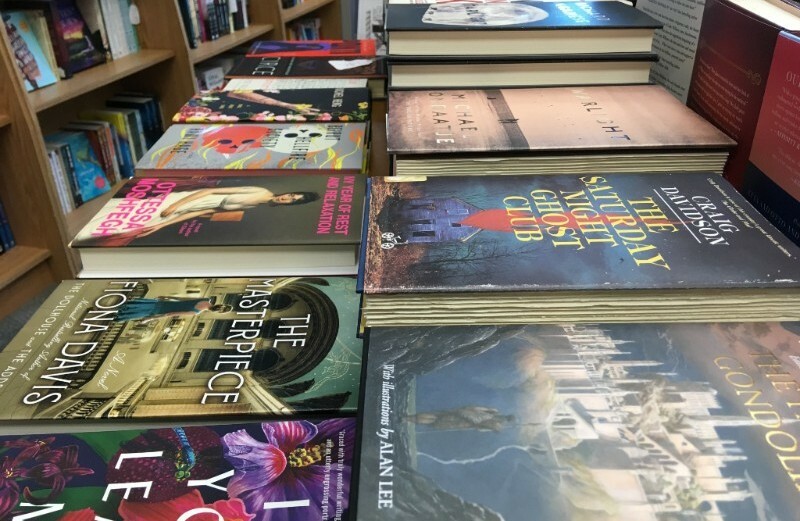 Although we don’t take a summer break here at the store and aren’t making our way back to work after an extended holiday, leaving the last days of August behind still feels like a new beginning of sorts – a time for new adventures, new friends, and lots of lovely new books! Like a faucet being turned on full blast, our fall books have started pouring in so fast that it feels a bit like our shelves have shrunk and our square-footage has decreased in recent days! Thankfully, there’s no such thing as too many books and there are few things we love more than discovering new stories to read and recommend. One of our top picks this month is the historical novel, The Lost Queen by Signe Pike. Set in Scotland amidst the roots of the Arthurian legends, this story casts a light on Languoreth, an oft-forgotten sixth-century Scottish Queen and twin sister of the man who would later be immortalized as the Druid Merlin. As her homeland is being torn apart by religious conflict and her future is being decided by the men around her, this brave, strong, and passionate woman suddenly finds herself facing the enemy head on in order to save herself, her family, and the Old Ways she knows and loves. 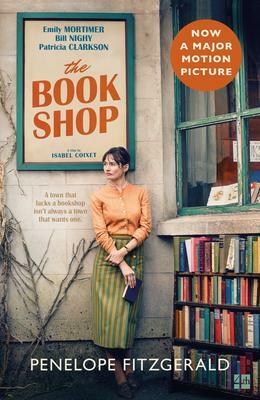 For anyone who loved The Mists of Avalon by Marion Zimmer Bradley or Mary Stewart‘s The Crystal Cave, this new book definitely deserves a spot on your reading pile! Debut author Christina Dalcher has given us an intense, thoughtful, and eerily plausible plot-line in her new novel Vox. With echoes of Margaret Atwood‘s The Handmaid’s Tale, this story transports readers to a United States of America in which women have been limited to using just one hundred words a day. Where one oppressive law is passed, others quickly follow, and for Dr. Jean McClellan, these restrictions are a call to action. With equal parts disbelief and determination, Jean launches herself into a battle she must win – for herself, her daughters, and women everywhere – no matter the cost. Although there are countless different types of books on offer these days, we all tend to create a bit of a reading comfort zone. Sometimes taking a chance on a book that sounds a little different can be enough to open your eyes to a whole new genre that you never imagined you would like! Our last major leap of faith was a little over a year ago when we read and loved (surprisingly) the spider horror story The Hatching by Ezekiel Boone. It was creepy, thrilling, and even kind of funny despite the horrifying subject matter. Because of our experience with that book, we were immediately intrigued by David Wong‘s John Dies At the End. With This Book is Full of Spiders: Seriously, Dude, Don’t Touch It and What the Hell Did I Just Read quickly joining the series, these quasi-thriller/horror stories are full of quirky situations, odd characters, and a healthy dose of black-humour. Wong‘s unique writing style and suspicious narrator will no doubt appeal to the curious reader who loves being surprised (and slightly scared) by their books, page after page. For yet more spine-tingling thrill rides (we are heading into fall, after all), The Boy at the Keyhole by Stephen Giles is a great example of the “English Country House Thriller” genre. Combine one vanished parent with an old, drafty house, a worrisome housekeeper, and a nine-year-old boy trying to figure out who’s telling the truth, and you have the perfect recipe for the ideal autumn evening read! Just make sure you have lots of lights on…and maybe don’t read right before you go to sleep! In a world full of beautiful turns of phrase and countless lyrical languages, English is undoubtedly one of the more complicated and least romantic of them all. One benefit of this is that it makes great fodder for the books about language that we love so much! The Stories of Slang by Jonathon Green and Vulgar Tongues by Max Decharne are two fascinating new books that look at some of the funny, intriguing, and downright insulting slang terms that have come and gone over the years. Considered the most alive vocabulary around today, slang is constantly evolving with new terms cropping up daily and old ones being reworked to fit modern society. Both Decharne and Green have succeeded in giving us fascinating (and slightly cheeky) studies that are sure to delight and entertain all language fans. Given how much we love our peculiar English language, it’s always maddening when we hear or see words being used incorrectly. Ross and Kathryn Petras evidently feel the same way as they’ve put together a wonderfully comprehensive book called That Doesn’t Mean What You Think It Means in which they gather the 150 most commonly misused English words together and present them to us along with examples of their misuse from print, radio, and television. With the addition of a witty exploration of the words’ origins and their correct usage, language lovers will enjoy the reading itself as much as the learning, and may find comfort in knowing that even the most well-educated among us can get words wrong sometimes. For anyone who has ever wanted to spend their days searching for antiquities and digging for ancient relics, Douglas Hunter‘s new book should be at the top of your reading list. 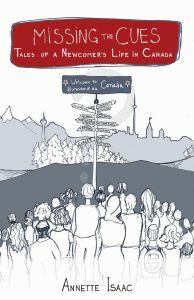 In Beardmore: The Viking Hoax that Rewrote History, we are treated to a fascinating, highly readable account of the 1936 discovery of a Viking grave near Thunder Bay – a discovery that, in advance of the excavation of L’Anse aux Meadows, changed everything scholars believed about the Vikings’ movements. After spending twenty years as a major museum exhibit and being called into question by a number of skeptics, it came to light that the whole discover was in fact a hoax. Told with a detective-like attention to detail, this book thrilled and educated us in equal measure. While walking in the footsteps of the ancients through archaeology is probably out of reach for most of us, exploring the world through the lives of our favourite fictional characters is much more attainable. A true travel guide with a twist, Sherlock Homes’s London by Rose Shepherd is the ideal companion to have while you’re gadding about town in this great British capital! Whether you’re a fan of the books, the films, or the countless television adaptations, this wonderful little book full of photographs, maps, and top tips about some of the great detective’s favourite haunts is sure to bring a smile to your face and a spring to your step as you adjust your deerstalker and head out onto the cobbled streets in search of mystery and adventure! It always amazes us, when we have a chance to stop and think about it, how much children’s literature has changed over the last two decades. Where once, young people seemed to transition straight from picture books to classic literature, there are now so many incredible stories being written that it’s impossible not to get excited about them! Kristin Cashore, of Gracelingfame, has gifted teens with a pseudo-choose-your-own-adventure-type book that combines multiple genres like they were born to be together. When Jane, Unlimited‘s titular character is invited to a glamorous and mysterious island mansion called Tu Reviens, not only would she be satisfying her own curiosity by accepting, but she would also fulfilling a promise she made to her late aunt Magnolia. Little does Jane know, that accepting this invitation will not only plunge her into a strange house with its own agenda, but that the choices she makes therein have the power to change the course of her life forever. Darius the Great is Not Okay by Adib Khorram is a charming, heartfelt debut novel about Darius, a young man who’s never felt like he’s quite fit in anywhere until he goes on his first trip to Iran to visit his grandparents. It’s in this place where he thought he’d stick out like a sore thumb, that he discovers surprising new things about himself and learns that sometimes all it takes feel at home is meeting that one person who truly gets you. A beautiful story of friendship and belonging, this book is a must for teens and adults alike! As book lovers, we are always fascinated by books and stories whose roots run deep in the literary world – whether they’re books about books, books about authors, or books re-imagining some of our favourite fictional characters! Catherynne M. Valente‘s new book, The Glass Town Game, is a lovely adventure story for middle-grade readers that invites us into the world of the Bronte siblings through the game they invented and played together as children, The Glass Town. As the harsh reality of Emily and Charlotte being sent away to boarding school looms large, all four children suddenly find themselves whisked away to their own game with a few changes…their Napoleon isn’t supposed to ride into battle on a fire-breathing porcelain rooster! Making use of just their wits and their proprietary knowledge, Charlotte, Emily, Anne, and Bramwell must navigate the dangers of The Glass Town in order to stay alive and keep their family together. If we someday have room for an author shrine here in the store, it could only ever be dedicated to the works of our favourite children’s author, Dusti Bowling – for obvious reasons, it would also have to be cactus-shaped! After falling completely in love with Aven in last year’s Insignificant Events in the Life of a Cactus, Bowling has stolen our hearts yet again with her new book 24 Hours in Nowhere. Nowhere, Arizona is not the kind of place anyone would choose to live, nor is it an easy place to get out of. For 13-year old Gus, his only wish is to make it through the rest of his bully-plagued adolescence and escape “the least livable town in the United States” to attend college. When a close call with the biggest, baddest bully in town and a particularly prickly cactus result in the loss of a prized dirt bike on the eve of the most important race in town, Gus finds himself promising to enter a dangerous abandoned gold mine in order to make good. 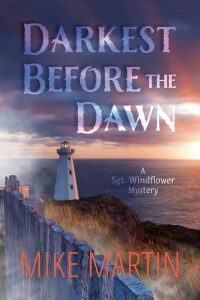 Along with his three very unlikely companions, Gus marches headlong into the deepest dark he’s ever experienced and ends up finding more bright spots than he ever thought he would. Full of heart, humour, and a bit of haunting mystery, this is our ultimate, top shelf, five star pick of the season! We guarantee that you will laugh, cry, and immediately want to read it all over again as soon as you finish the last page! Never to be left out, even the smallest readers deserve to have sweet, beautiful, and fun new books to enjoy into the fall season. Here are a few that have just come into the store that we think will be instant hits no matter when or where you read them. Polly Faber‘s Picking Pickle is an adorable story narrated by Pickle, the longest-standing resident of the dog adoption centre. As he introduces us to all the dogs up for adoption, it might just turn out that the perfect dog is actually Pickle himself! Team Steve by Kelly Collier, the follow up to A Horse Named Steve, finds us once again in the company of our favourite steed as he learns lessons in sharing, friendship, and good sportsmanship. With a different illustration style on each page, The Big Book of Adventure by Emily Ford and Tim Warnes celebrates how books can take us on great adventures to distant lands and are always best when shared with a friend. Mike Wu, an illustrator at Pixar Animation Studios, has given us a wonderfully imaginative story in Henri’s Hats. While visiting his grandfather, Henri discovers a chest full of hats with which he can pretend to be a ship’s captain, a star pilot, and a race car driver. It’s not until he hears his grandfather’s real stories behind all the hats that he begins to dream about what his own future might be. As always, we find it hard to limit ourselves once we start telling you about all our favourite books. So here are a few more that have recently come in that we quite like, and even more to watch out for over the coming weeks: The Forest Queen by Betsy Cornwell, How Do We Look by Mary Beard, The Mystery of Three Quarters a by Sophie Hannah, The Royal Art of Poison by Eleanor Herman, Washington Black by Esi Edugyan, Machine Without Horses by Helen Humphreys, Starlight by Richard Wagamese, Beirut Hellfire Society by Rawi Hage, The Saturday Night Ghost Club by Craig Davidson, Yorkshire a by Richard Morris, Your Second Life Begins When You Realize You Only Have One by Raphaelle Giordano, Things I Don’t Want to Know: A Living Autobiography by Deborah Levy, Inkling by Kenneth Oppel (September 11) Life on the Leash by Victoria Schade(September 18), Lethal White by Robert Galbraith (September 18), The Spy and the Traitor by Ben MacIntyre (September 18), The Secret History of Soldiers by Tim Cook (September 18), The Burning Stone by Jack Whyte (September 25), In Other Words by Anna Porter (September 25), Son of a Critch by Mark Critch (October 2), The Clockmaker’s Daughter by Kate Morton (October 9). We really can’t express how happy we are now that the cooler weather has arrived. Summer is great and everything, but nothing compares to getting back into the routines of autumn in preparation for the long, cold months ahead. As we never know what kind of fall and winter we’re going to get, you’d best all start stock-piling books now, just in case. With so many diverse paper confections on our shelves just waiting to entertain and entice you with new adventures and fascinating stories, we are the perfect place to come next time you’re looking to get lost in a good book! 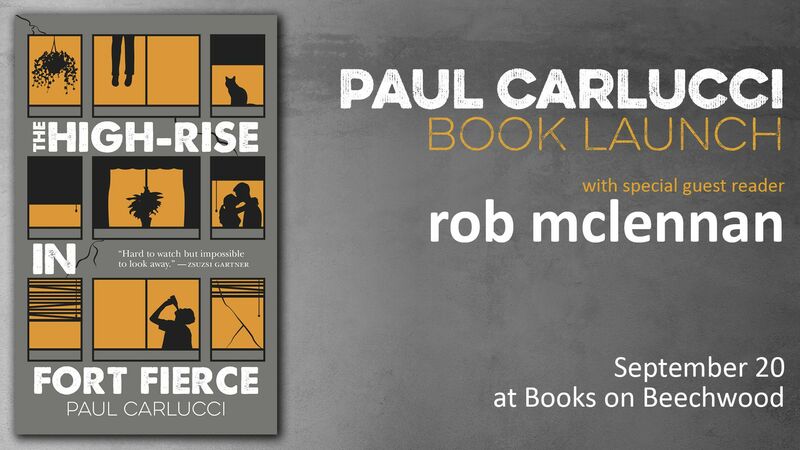 Award-winning author Paul Carlucci will be in the store to launch his critically acclaimed new story collection, The High Rise in Fort Fierce. Joining him will be special guest (writer, editor, reviewer, critic, publisher) Rob McLennan. “Someone told me recently that Penelope Fitzgerald was nominated for the Man Booker Prize three separate times, and now that I’m finally reading one of her novels, I understand why.